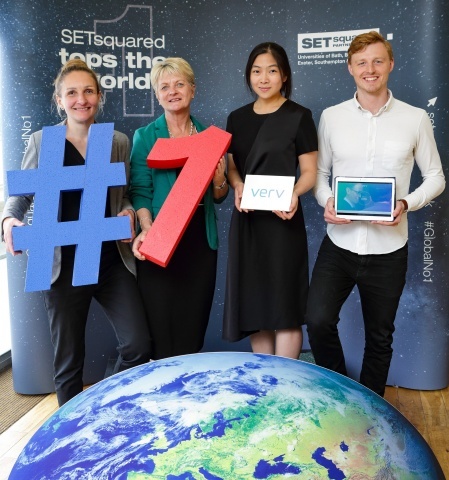 The University of Bath, as part of the SETsquared Partnership, today launched a programme to enable some of the UK’s best tech scale-up companies become the sector giants of tomorrow. It is expected to generate over £25bn for by 2030, create an additional 30,000 high-skilled jobs in the tech sector, and help improve Britain’s poor investment record in research and development. “Verv is a clever home energy assistant that gives you intelligent information about key appliances and electricity usage in your home. Using cutting-edge artificial intelligence technology, Verv identifies appliances in your home by their unique energy signatures. It has also developed a peer-to-peer energy trading platform based on its energy monitoring hub that will improve access to affordable, green energy.